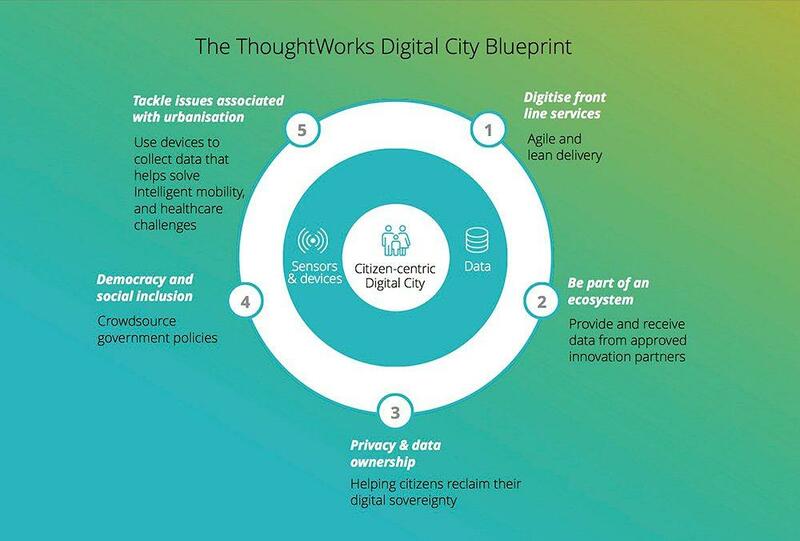 ThoughtWorks has a track record of transforming government agencies and cities into digital organisations at speed. Our open city interface and shared data framework enables startups, innovators, social enterprises, and communities to create next-generation services, scaling cities' abilities to solve problems for citizens. 2.8 million people over 65 will need nursing and social care in the UK by 2025. ThoughtWorks has partnered with a London-based technology firm MySense to help elders monitor their health at home and identify declines in health in real-time. Every city is unique. Rather than jump into isolated solutions that may not be relevant or scale over time, it’s important to understand the principles that should be at the core of every digital city and the platform that supports it. Nearly every major city holds a 2020 Digital City strategy. While we've all seen the perfectly designed simulation of buildings, cars, people, and public transport all centrally connected, we're still seeing a major disconnect between strategy and execution. 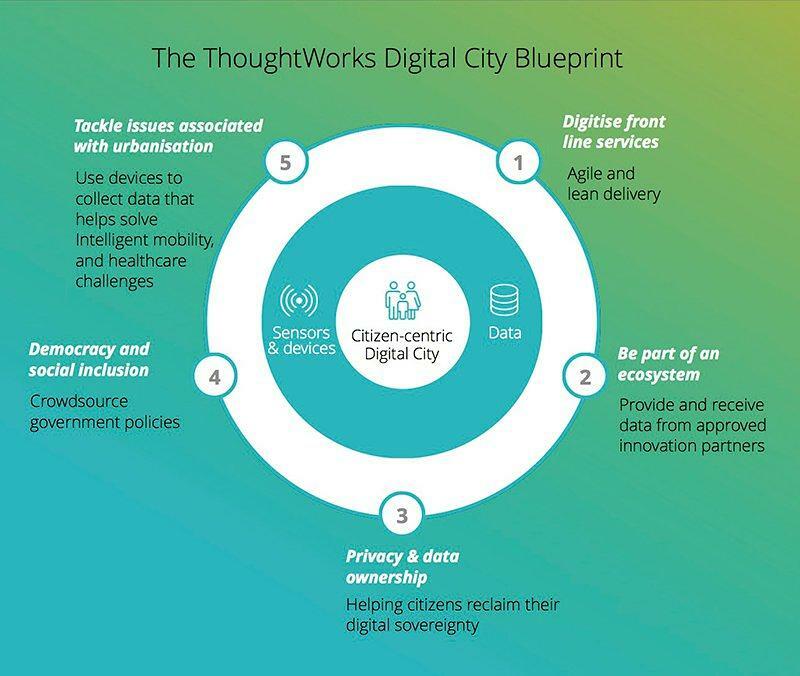 Based on our work with several leading cities, we created The ThoughtWorks Digital City Blueprint, which helps cities to kick off their journey. Starting with a digital and cultural transformation that sets the foundation, we then move to accelerating the ability to tackle urbanisation challenges in areas such as intelligent mobility, healthcare, democracy and social inclusion. Both UK and Spain are at the forefront of digital cities innovation. Check out our work across the two countries with organisations that are already contributing their share to this transformation. 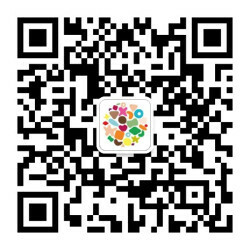 The Decode project is a world-leading programme that aims to set a transparent, but secure data framework using blockchain, enabling citizens to have data entitlements. ThoughtWorks is the technology lead on this project, working alongside 13 other partners. Francesca Bria is the Chief Technology and Digital Innovation Officer at Barcelona City Council, working towards enabling government services that are more open, transparent, agile, and participatory. ThoughtWorks is not your typical technology company. Working with enterprises, governments, startups and not-for-profits for the past 25 years, we bring together leaders from these organisations, as well as local communities, to design citizen-centric cities. Stockport Council (SC) has partnered with ThoughtWorks to bring ‘Singposts’ to life; a groundbreaking platform that has data at its core and is designed to support the SC Family service and the SC integrated service for children. The platform pulls together event data from different sources and displays it in a single view, so social workers can quickly get a feel for issues that an individual or family may be dealing with. UK’s Government Digital Service (GDS) has radically changed the way public sector services are delivered, changing the relationship between government, service and citizen. i ThoughtWorks helped GDS launch its flagship product, GOV.UK. In addition to saving GBP 70 million through merging the websites, GOV.UK is the UK’s first major public website leveraging cloud infrastructure. 8 start-ups, focusing on smart transport solutions, make up the first cohort of companies joining the new Intelligent Mobility (IM) Accelerator programme, based in Milton Keynes, UK. ThoughtWorks is proud to sponsor the program, and support the startups at the Accelerator, with mentoring, coaching, and access to our technology and design experts and networks. Bringing together the great cities, towns and rural communities of the North of England and Wales to become a powerhouse for the UK's economy. 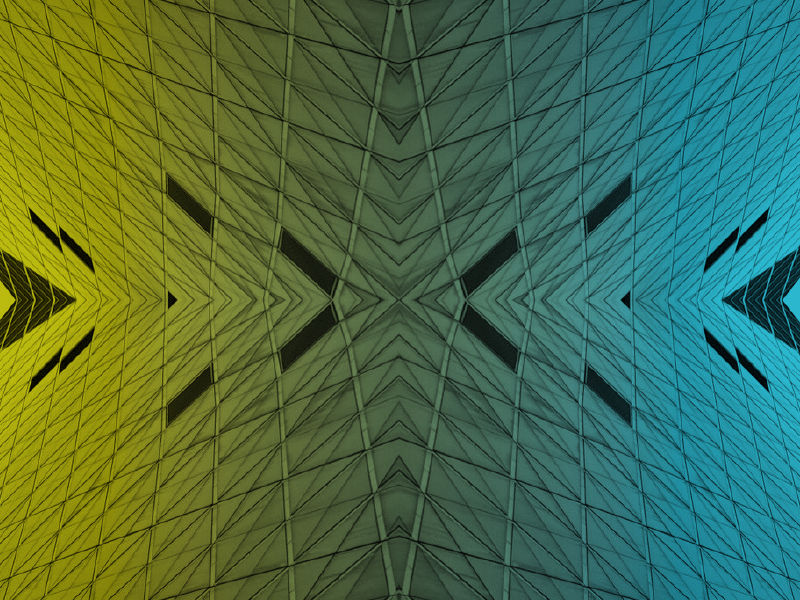 Wayra helps democratise entrepreneurship opportunities throughout the UK. In collaboration with Wayra, we launched the Intelligent Mobility Accelerator to solve transport challenges in cities. Barcelona has long had a reputation for being at the forefront of digital transformation and innovation, making it a natural choice to host the 2017 Smart City Expo World Congress. Delegates from 120 countries and 700 cities, all arrived in the sunny city to hear the latest developments in the field. To kick off the week, ThoughtWorks hosted a special preview event with guest speaker Francesca Bria, Chief Technology and Digital Innovation Officer of Barcelona City Council, who is leading the initiative of building the smart city from the ground up. At the conference, we shared insights about our work on the Decode Project, a world-leading program using blockchain to create a secure, but open and shareable, data model that is putting citizens in control of their own data. Ready to transform your city? Get in touch.